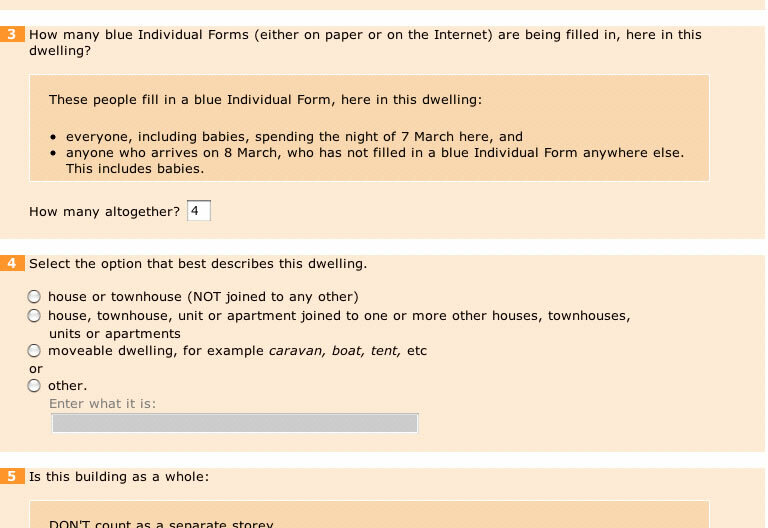 The online version of the New Zealand 2006 Census is littered with unnecessary design and usability issues. For the first time New Zealand citizens have the option of doing the census online – which is brilliant news. So I thought I’d give it a go. 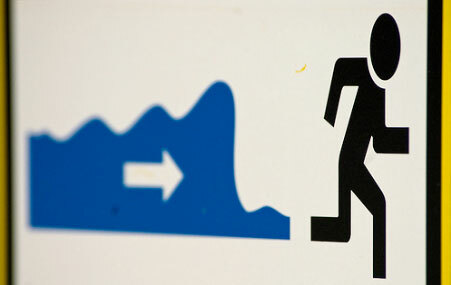 I was truly expecting a slick, web savvy and usable experience. However, in just 30 minutes (during my once-only run-through), I uncovered a number of technical, design and usability issues. While for many people these will be little frustrations (or perhaps go unnoticed), for others they will turn in to big frustrations. And for a few the online forms won’t even load. Let’s start with the strange and long website address you need to type into your browser to access the census website – http://www.stats.census2006.govt.nz/ – why so long and complicated? Why not just make the address simply http://www.census.govt.nz? Tabbing – the main form of navigation between form fields on the web – was inconsistent and in some cases, simply broken. For example, when entering my internet ID the cursor would auto-tab (move automatically to the next field) – a handy feature once you get used to it, but then for the rest of the form the tabbing was manual. And a big blooper – on several steps the tab key would leap-frog over whole sections I’m sure I was meant to fill out (in once case it jumped over 20 questions!). This is possibly a bug in the Safari browser, but is surely one Statistics New Zealand should have picked up during testing. HEY – IT SPAT OUT MY DATA! When entering my internet ID I deliberately made an error to see how the system would react. Well it did react and wasn’t very friendly – first of all I got a warning message in a dialog box (pop-up) – then on returning me to the page it had erased the valid numbers I had entered. I had to start again. Even sites with dynamic forms should do better than this for when rated for W3C and E-Government compliance. Extra questions you won’t find on the paper form have made their way to the online form – such as ‘Where are you filling out this form?’, followed by a question asking your address (huh?). A ridiculously long page for the blue (Individual) form – whatever happened to the widely used step-by-step wizard? 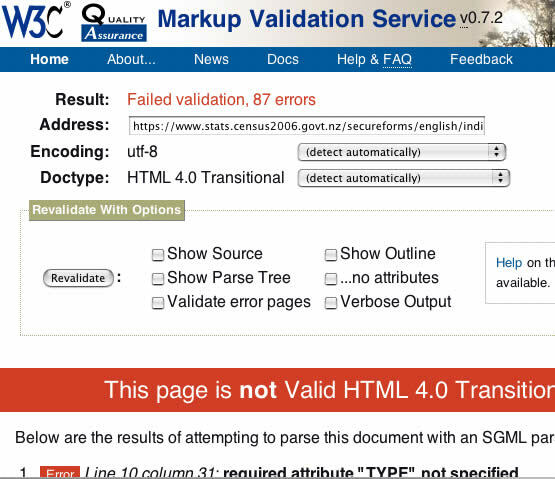 And did it validate for web code compliance and accessibility? Absolutely not. PS: I’ve let Statistics New Zealand know about the main technical issues, so hopefully they’ll be fixed soon. If you filled out the census online, please use the ‘comments’ link below to add your feedback. Nice post, Zef. Always a bummer to see opportunities wasted. Still, I’ll give it a go and see if it’s any better on Firefox.